Bison has new packaging options of ShootOut portable aluminum soccer goals, Complete Packages and Value Packages. Wheel kits and nets are free on Complete Packages. Complete Packages include two goals, two nets, built-in transport wheel kits and rear horizontal stabilizer bars, auger-style hold downs and QwikTrak net attachment kits. Nets and transport wheel kits are ordered separately with Value Packages. Bison ShootOut portable aluminum goals are available in three styles: 4-inch square, 4-inch round or 2-inch-by-4-inch. All include a backstay design that virtually eliminates weld failures common with other portable soccer goals. Sizes range from 24-foot official international and competition goals to 9-foot bantam size. The Ride RangerTM is an innovative bike platform that combines a digital input display with an integrated feedback system to create a unique, interactive experience. The game encompasses pedals and handlebars just like a regular bike, while using the electronic screen for the child to visualize a course. As the child pedals and steers, the virtual reality course mimics the child's movements. Each unit comes standard with six different rides that rotate automatically. 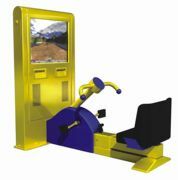 Stand-alone or multi-player action is available so children from 2 to 6 years old can ride together. Star Manufacturing recently introduced its new Star Fast Steamers, a line of 12 steamer models. Star Steamers offer versatile cooking possibilities, perfect for today's health-conscious customers, and can quickly heat or cook everything from vegetables and breads to proteins and sandwich wraps. Star Fast Steamers come in eight top-load models and four front-load models, all available with manual or electronic control. All units are available with a water reservoir or direct-connect water source. 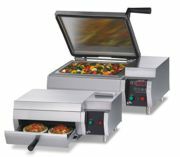 Star Fast Steamers can heat menu items with uniform consistency and make a great addition to any food service application. The new 3-foot-by-6-foot, 1/2-inch thick, portable AlturnaMat is designed to protect against turf damage resulting from vehicles weighing up to 60 tons. When used over soft turf, the mats can save thousands of dollars in repair costs, and they virtually eliminate vehicles getting stuck in mud. They are fully guaranteed for six years. The 51-pound mats are easy to handle using two hand slots on each side. The mats are available with the same bold cleat-tread design as the original AlturnaMats, with cleats on both sides, on one side or smooth on both sides. Myron L's TechPro II instruments have all the functionality of the previous TechPro line but have been completely redesigned to include new and improved features with greater performance. The TP1, TPH1 and TH1 deliver the accurate, precise, repeatable results you require in critical water quality parameter measurements of conductivity and TDS, pH and temperature. All TechPro models are waterproof, buoyant, easy to use and easy to calibrate. The rugged exterior protects internal electronics and fits comfortably in your hand. Lightweight and completely portable, these instruments are ideal for use in the field, while the highly stable circuitry gives you the results you need in the lab. Gold Medal Products' #5700 Conveyor Toaster Oven is perfect for quickly preparing a wide variety of hot, freshly toasted menu items. The Conveyor Toaster Oven is perfect for heating bagels, cookies, State Fair Mini Donuts, toast, mini muffins, pretzel bites and more. The pass-through attachment (#5705) makes it easy to do funnel cakes (pre-made), pizza (refrigerated, not frozen), churros, sandwiches, potato skins, pretzels and more. It has a variety of features that make this oven a must for any location. It uses four quartz heaters for even cooking, has a power-saving setting that uses 75 percent less energy and can heat back up quickly from this setting. The Loegering Trip-Edge Plow features all the tough, reliable characteristics you'd expect from Loegering, such as reinforced diagonal cross-bracing for a stronger blade as well as fast and reliable hydraulics. 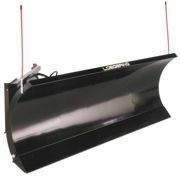 Loegering's Snowplows are designed for compact loaders and mount easily to any standard quick-attach system. Push frames are constructed with a 3-inch-by-2-1/2-inch-by-3/8-inch channel and 1/4-inch tubing. Moldboards are built in one continuous piece so the blade skin will not separate from the ribs over time. Cast-iron blade shoes are tucked up and under the base angle to prevent excess wear and damage. Adjustable trip springs allow the cutting edge to trip when it encounters drains or manhole covers. Southern Aluminum manufactures all-aluminum folding tables and picnic tables. Aluminum allows Southern to offer the lightweight, durable, easy-to-handle tables with a lifetime guarantee. The AluliteTM folding table will never crack, rust or warp after extended usage or exposure to heat, moisture or sunlight. With an average weight of only 35 pounds, this table can hold up to 4,000 pounds of distributed weight. With a finish option of anodized or baked-on powder-coat paint, the heavy-duty tables are easy to clean and maintain.